(Nanowerk News) A drunken sailor staggers onto a square with lots of streetlamps on it. Sometimes he will run into one of the lamps, change his direction and keep moving. Does the time he spends on this square depend on the number of streetlamps? The surprising answer is: no. No matter whether there is a streetlamp on every square meter or whether the distance between the lamps is large: on average, the drunken sailor will always spend the same amount of time on the square. Calculations at the Vienna University of Technology (TU Wien) have now shown that this invariance of the dwell time is a universal phenomenon. It can be observed in completely different systems – from crawling ants to light waves in disordered media. 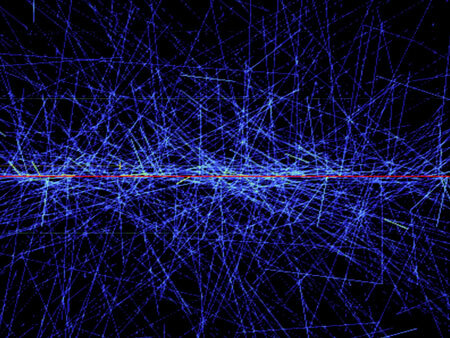 Complicated paths of particles which are scattered many times. 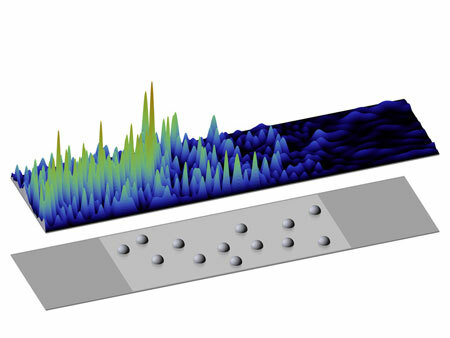 The research on this project was carried out with collaborators Romain Pierrat, Rémi Carminati, and Sylvain Gigan from Paris (Institut Langevin and Laboratoire Kastler-Brossel), the results have now been published in the journal PNAS ("Invariance property of wave scattering through disordered media"). Professor Stefan Rotter’s team (TU Wien) analyses the propagation of waves in disordered media, such as light waves in turbid glass or quantum particles moving as a quantum wave through a material with impurities. “Usually, such transport phenomena are characterized by the so-called mean free path”, says Stefan Rotter. It is the length of the path a particle or a wave can typically travel freely until it hits the next obstacle. In the case of the drunken sailor, the mean free path would be the average distance between the street lamps. In turbid glass, it would be the distance between two microscopic impurities at which the light wave is scattered. 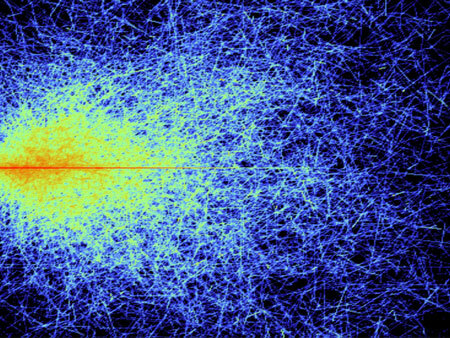 Fewer scattering events - but the average length of the path stays the same. Many important physical quantities depend on the mean free path - for instance the fraction of the light, which passes through semi-transparent glass. “We can calculate how much time the transmitted part and the reflected part of the light wave spend inside the glass, respectively. These quantities, the transmission time and the reflection time, heavily depend on the mean free path”, says Phillip Ambichl, PhD-student in Stefan Rotter’s team and co-author of the paper. A wave enters an area with many scatterers. But when those two quantities are combined to calculate the overall time the average particle or wave spends inside the medium, then the mean free path drops out of the result entirely. Quite surprisingly, light spends as much time in a turbid glass plate as in a transparent one. It is the same with the drunken sailor: If his erratic path is blocked by an increasing number of streetlamps, there is a higher probability of the sailor hitting one of lamps right at the beginning, so that he will turn around and never venture far into the square – the time he spends on the square would thus be reduced. If, however, he happens to enter deep into the forest of streetlamps, he will be trapped there for a long time. Paths leading to the opposite side of the square thus become much longer when the number of streetlamps increases. As it turns out these two opposing effects fully compensate each other, so that the total average dwell time remains the same when changing the number of streeplamps. A wave enters an area with fewer scatterers. Even in biology, this phenomenon can be observed: the path of ants crawling across a surface can be described as a random walk too. A large ant will traverse an area with a smaller number of steps than a small ant that will change its direction more often. But regardless of their size, the time they spend on a given area is always the same. “With the average dwell time in an area or in a specific medium we have identified a quantity which is completely independent of the mean free path. This remarkable result will help us to better understand quite different transport phenomena appearing also in everyday applications such as in solar cells”, says Stefan Rotter. Whether it is particles, waves or ants – by studying one system, one can also learn much about others, even if at first glance they may seem completely unrelated.